I work 4 jobs and I’m still struggling — but why? I came across this story while reading on the internet — these stories make me sad — but also make me ask “why” — “why” does he have 4 jobs and only barely making ends meet? I’m not sure that raising the minimum wage is going to fix the problem — is it a problem of not the right jobs, not the right skills, or not enough of the right people with the right skills to fill the jobs?Is it a problem of opportunity? motivation? laziness? I honestly am not sure. Its been a while since I’ve talked about it, but one of the reasons I started this blog was because my sig-o is kinda in this same boat. As an HR pro, you can imagine how frustrating it must be to have the skills to help coach others in their careers but struggle to make it the translation to the person your share your life with. 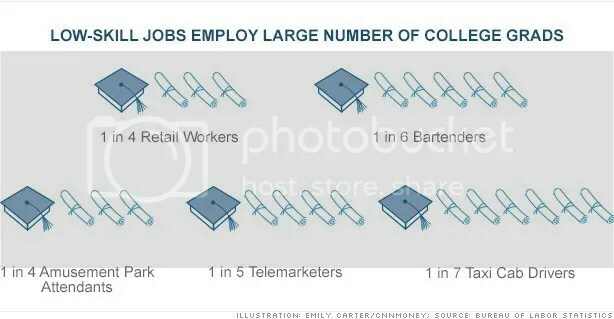 People often forget the wider impacts of unemployment. Bingham’s is an increasingly common story. The share of part-time workers who couldn’t find full-time jobs surged during the Great Recession, more than double what it was in the preceding decade. Though their situation is improving now, more than 7.7 million Americans are still settling for part-time work, compared to about 4.1 million on average in 2006.
via I work 4 jobs and I’m still struggling – Dec. 12, 2013. Did you watch the State of the Union address? I missed most of it because I was at work — just in case you missed it too — here is a quick recap for you that I found on cnn.com. But don’t take their word for it — check out the speech yourself and make your own conclusions. The awesome thing is that with technology is that we can find the whole address on YouTube. I found a video link from the New York Times for you to view. Just another reminder — I’m not too interested in the actual politics or having political debates (I know its very hard to separate the two though) but these are issues that have a direct impact on your employees and likely even your business — and its on their minds. As a leader or HR pro, you should have it on your radar too and understand the impacts. Get the facts and listen to all sides of the commentary. With the recovery still weak, unemployment at 7.9% and the nation’s growth rate shrinking the last three months of 2012, the president and his team know much of his legacy may be dependent on helping reignite the economy. The president pushed for 15 manufacturing hubs to help spur high tech job growth. via 5 things we learned from the State of the Union – CNN.com. There could be 22,500 jobs eliminated nationwide under the plan that the Postal Service says would save it $2 billion annually. 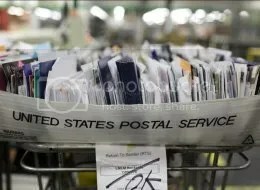 The Postmaster General Patrick Donahoe said he will not lay off any workers and accomplish the cuts by cutting overtime and part-time hours and offering buy outs to current employees. First class mail, the most profitable product for the postal service, has fallen by a third since the peak in 2001 amid the rise of email and electronic banking. But the key culprit for the Postal Service’s financial woes has been a 2006 congressional mandate, under which it has to pre-fund healthcare benefits for future retirees. The USPS has been borrowing billions of dollars from taxpayers to make up for the shortfalls. via Postal workers worry about job security – Feb. 6, 2013.